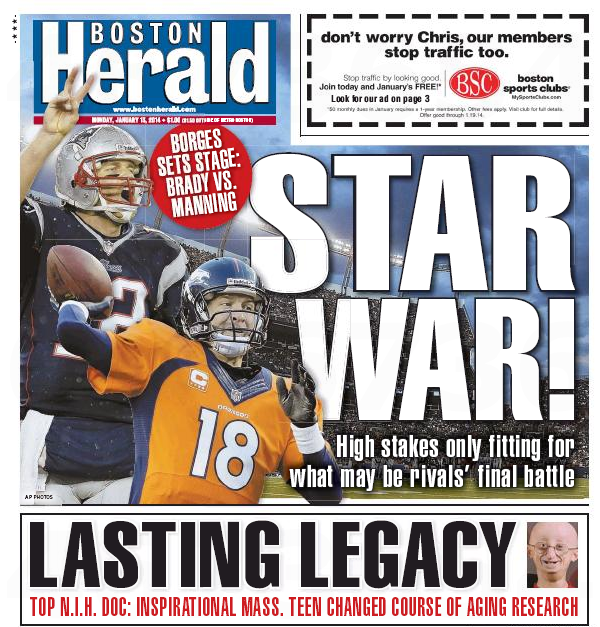 Yes yes – the Boston Herald also posts ads on its front page. But the Boston Sports Clubs ad is clearly set off from the Herald’s editorial content. Which the Globe’s Citizens Bank interloper clearly is not. Paging John Henry. 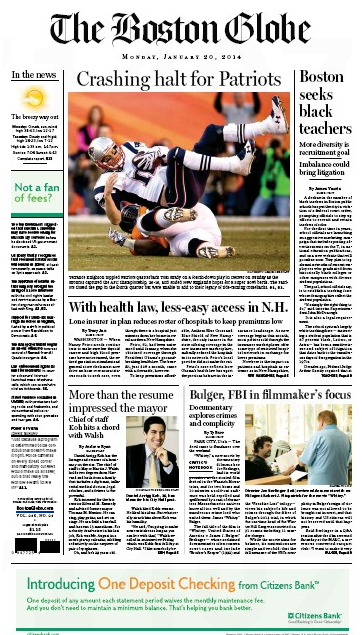 Paging Boston Globe owner John Henry. This entry was posted on Tuesday, January 21st, 2014 at 10:01 am and is filed under Uncategorized. You can follow any responses to this entry through the RSS 2.0 feed. You can leave a response, or trackback from your own site.